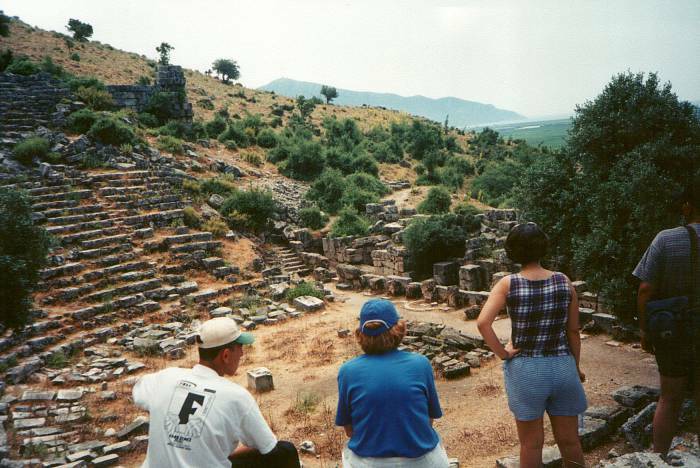 Lycia was the home of an ancient civilization in what today is southwestern Turkey. 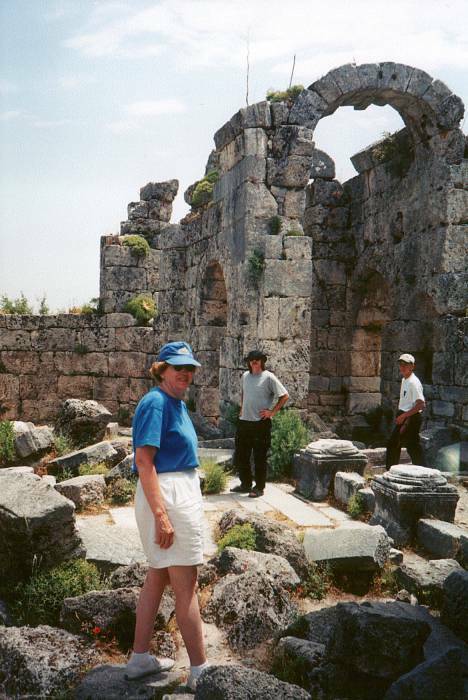 The Lycian people lived here at least as early as the Bronze Age, and carved elaborate tombs in the cliff faces during the 4th to 2nd centuries BCE. Köyceğiz is a great place to relax. It's at the north end of, what else, Köyceğiz Gölü (or Köyceğiz Lake), north of Dalyan. Köyceğiz is marked on this map but not labeled. 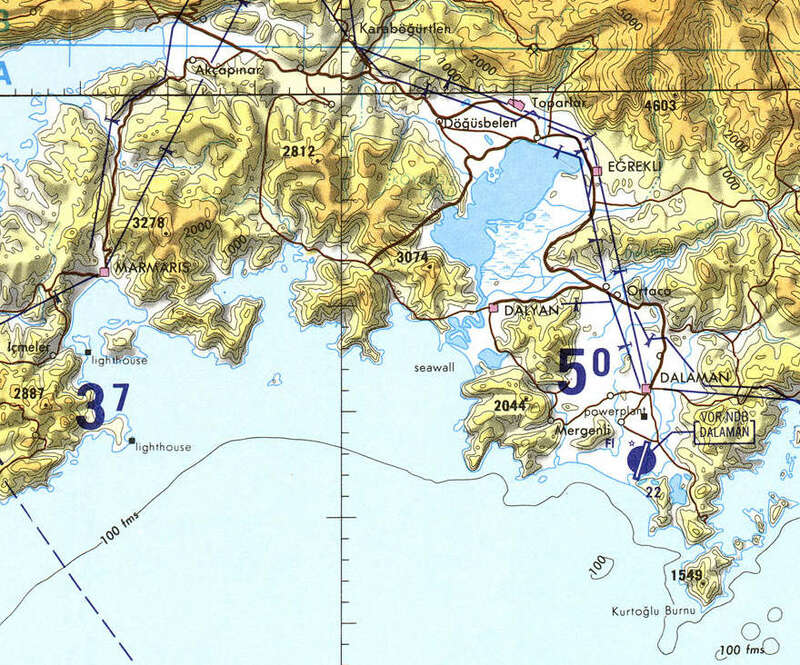 It's at the north end of the lake, close to Toparlar and between Döğüsbelen and Eğrekli as seen on this map. 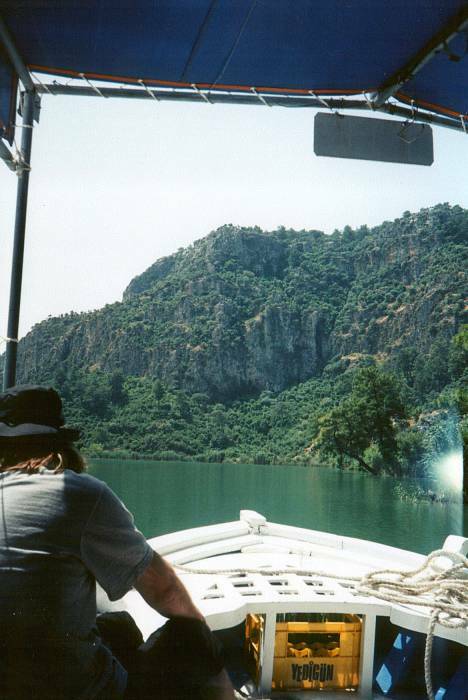 Excursion boats cross the lake and then follow the twisting Dalyan Çayı (or Dalyan River) past the town of Dalyan on one side and the ancient Lycian tombs carved into the cliff faces on the other. You can spend a couple of hours on the Mediterranean coast, then return with a stop at ancient Kaunos. The area is along the coast in Muğla province between Marmaris, with its high speed ferries to and from Rhodes, and Fethiye. There is both domestic and foreign tourism, but agriculture including citrus fruit and bee-keeping is the base of the local economy. Let's see the natural and ancient sights along the way! Portion of U.S. military aviation chart TPC G-3B from the University of Texas' Perry Castañeda Library Map Collection. Köyceğiz is the small town on the lakeshore between Döğüsbelen and Eğrekli. 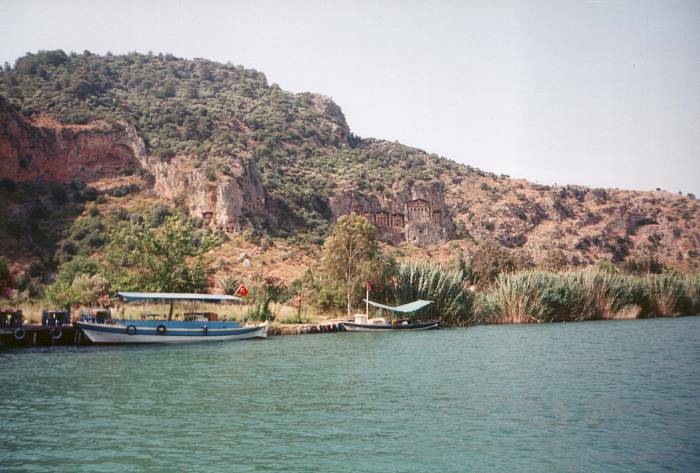 The unique environment of Köyceğiz Lake and the Dalyan River delta has been designated as a nature and wildlife sanctuary. The İztuzu Beach along the Mediterranean coast of the delta is a refuge for rare loggerhead sea turtles, Caretta caretta, and blue crabs. Mullet and sea bream swim up through the river delta and across the lake to spawn near Köyceğiz. As they return to the sea some are captured in fishing weirs, known as dalyanlar in Turkish and the source of the name of the town. 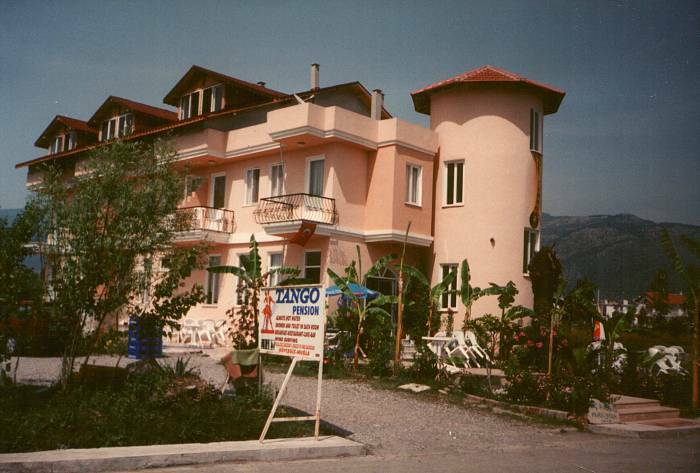 The Tango Pension is a nice place to stay in Köyceğiz, with very nice accommodations and great food. 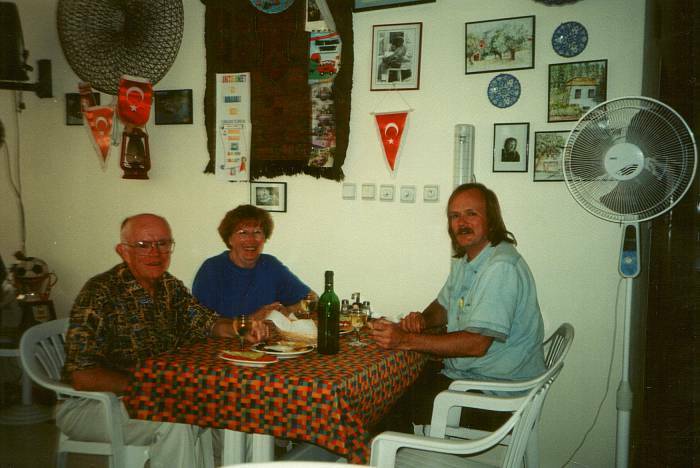 It's a popular spot both with Turks and foreign visitors. Above are pictures from a trip in 1999 with my parents. 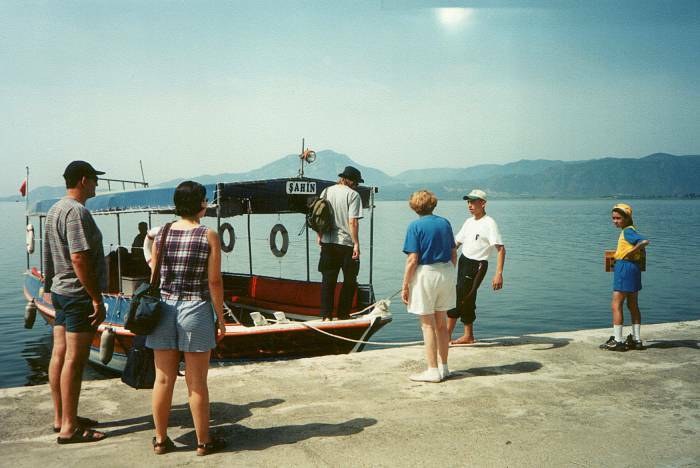 Below, we're boarding an excursion boat along the waterfront in Köyceğiz. We're headed south across Köyceğiz Gölü to Dalyan Çayı, or across Köyceğiz Lake to the Dalyan River. We will go through the delta's maze of reeds, past Dalyan to İztuzu Beach on the Mediterranean, and then return with a long stop to explore Kaunos. The region has been settled for at least 3,400 years, starting with the Caria or Καρία civilization. 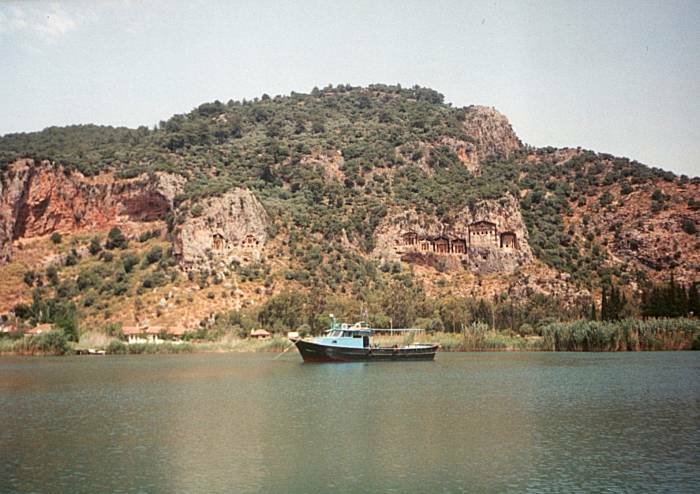 Everything from the Menderes (or Meander) river along the Aegean coast through the Dalaman (or Indus) river delta, just east of Dalyan, was in ancient Caria. In the Iliad, Homer describes the Carians as natives of Anatolia or Άνατολή, the Greek word for "east" or "sunrise." These Carians of the Iliad allied with the Trojans to defend their country against the Mycenaean Greeks. The text of the Iliad itself dates to about 760-710 BCE, describing events of about 1260-1180 BCE. The Carians described themselves as Anatolian mainlanders who had moved to the coast and become intensely involved in sea trade. They spoke an Anatolian language that was a form of Luwian as spoken in the Hittite homeland of Hatuşaş. Herodotus, however, claimed that they were of Minoan descent and from Crete, and the word of the "Father of History" long took precedence over logic and probability. Lycia was a region within greater Caria. It was mentioned in the records of ancient Egypt and the Hittite Empire of the Late Bronze Age. It may have been the Lukka or Luqqa listed as a member of the Assuwa league of western Anatolia around 1250 BCE. Its inhabitants spoke an Indo-European language of the Luwian group like that of Hatuşaş. The Lycian language name for itself is usually transliterated Trm̃mili as they were a people who had little use for vowels. The Scythians and then the Medes came out of the east to conquer parts of Anatolia. Then the mighty Persian Empire began to incorporate more and more of Anatolia, reaching this southwestern coast in 546 BCE. The Lycians and some neighboring populations submitted peacefully. An army of the Xanthus valley, however, burned all their possessions plus their dependents and their slaves before dying to the last man in a hopelessly outnumbered battle. Much like the Spartans at the Battle of Thermopylae a few generations later, although the Spartans didn't slaughter their slaves and dependents. The Achaemenid Persians maintained a largely hands-off policy toward the region, controlling it through "home rule" directed by aristocratic Persian families. 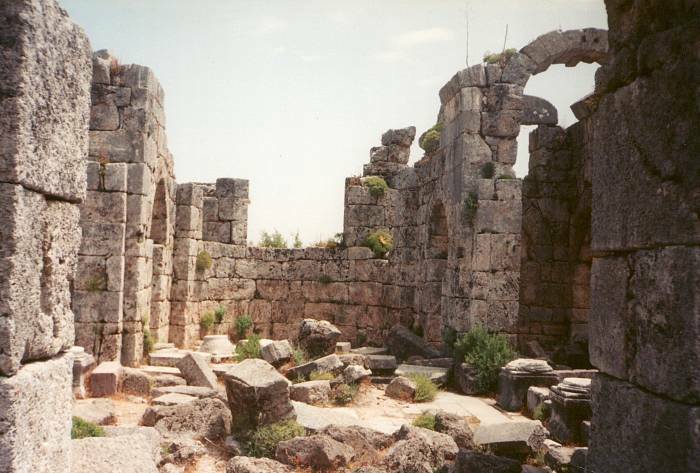 During the classical period, with the Persians driven out and Athens and Sparta fighting their Peloponnesian wars, Most Lycian city-states left the Delian League. The Persians came back and loosely controlled Lycia, until Alexander the Great conquered Lycia in 334-333 BCE. 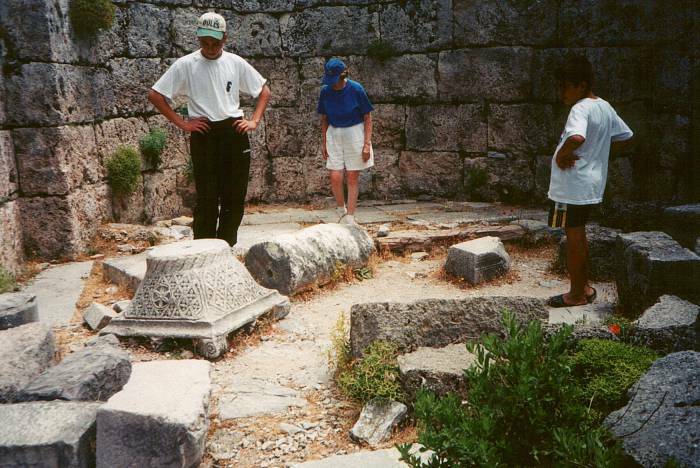 Greek speakers became predominant and the Lycian language disappeared from coins and inscriptions. 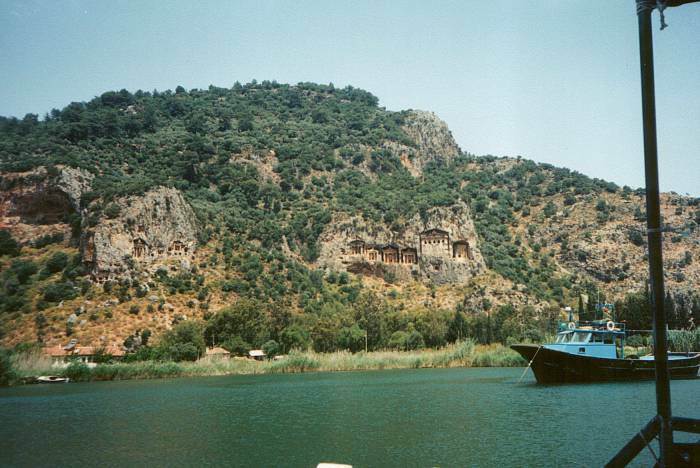 The rock tombs are the distinctive feature of Dalyan. They date from the 4th through 2nd century BCE. Their façades resemble Hellenistic temples with their Ionian columns, triangular pediment topped by an ακρωτήριον or acroterion shaped like a palm leaf, and architrave with a toothed frieze. Lycia was controlled by the Ptolemaic Kingdom until 200 BCE, then by the Seleucids until 190, and then Rhodes in 188 BCE. In 168 Lycia became an autonomous protectorate of Rome, and then a Roman province in 43 CE. Gaius Caesar, the heir of Augustus, was killed there in 4 CE. Rome faded and Byzantium rose to power and glory by the mid 300s CE. Then the Turks arrived in Anatolia and the area was occupied by the Seljuks and then the Mentes or Menteşeoğulları in the 1200s. Then the Ottomans took control in 1390. 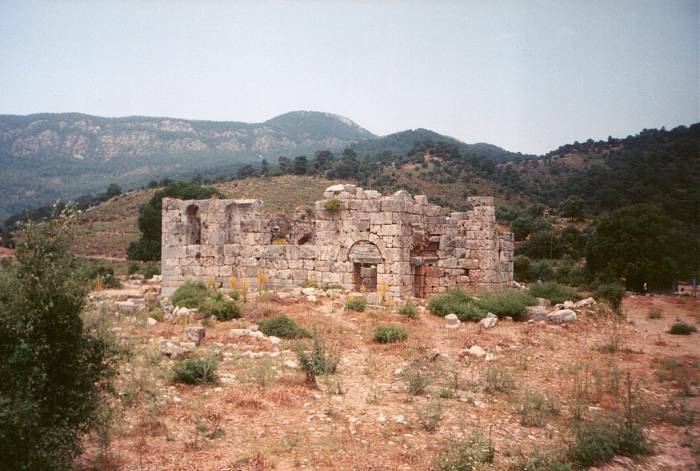 A large Greek Christian community lived in Lycia until the forced population exchanges between Greece and Turkey in the 1920s. It gets confusing — Lycia or Λυκία was this small region within Caria along a short length of the southwestern coast, while Lydia or Λυδία was an Iron Age kingdom covering all of western Anatolia, approximately the western half of today's Turkey, existing ~1200–546 BCE. 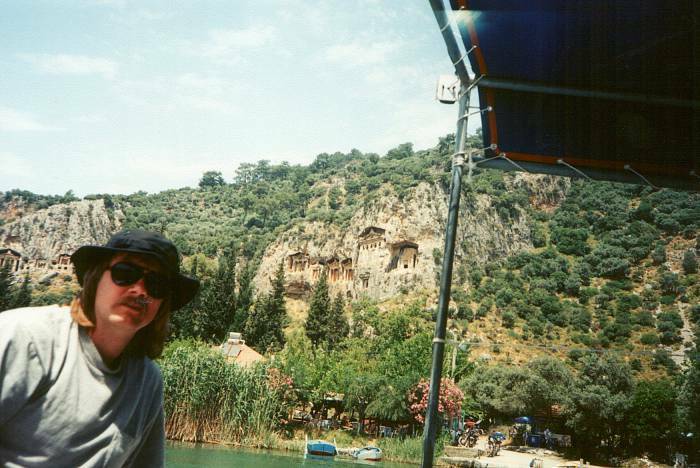 The boat trip continues out through the Dalyan Delta to İztuzu Beach on the Mediterranean. Wooden stakes mark off the sea turtle nesting areas. The entire beach is closed to humans 2000–0800 during the May-October season during which the turtles lay their eggs, the eggs gestate and hatch, and the hatchlings go out to sea. More confusion: This is Kaunos and not Kaunas, the city in Lithuania. Kaunos was a major seaport city at least as early as 1000 BCE. Kaunos was an independent city-state, and later was a city of Caria and then of Lycia. It was Kbid to the Carians, Khbide to the Lycians, and then Καϋνος to the Macedonians and then the Greeks. 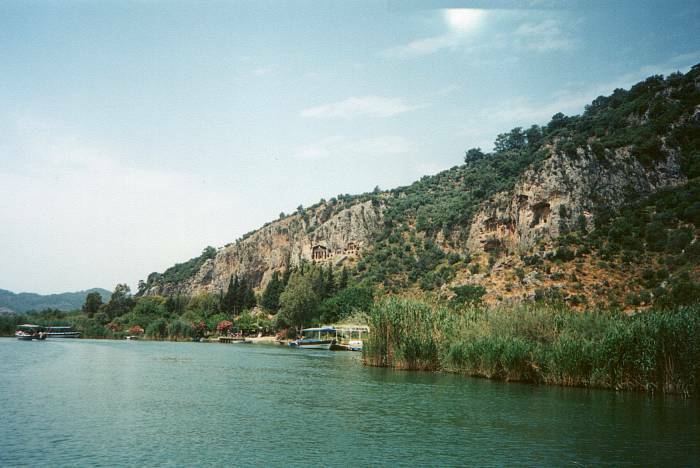 Kaunos is partly on high ground, across the Dalyan River and a few kilometers west of the modern town of Dalyan. 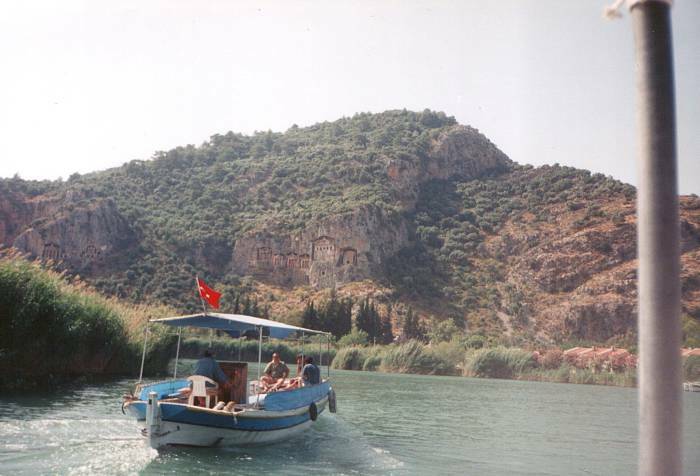 What is now Köyceğiz Lake was once the inner part of the Dalyan Bay. 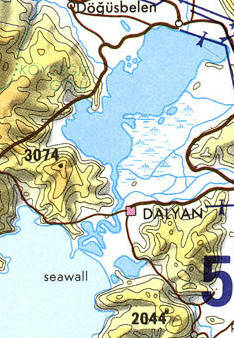 The swampy area marked on this map, and the reed-filled marshes surrounding the twisting Dalyan River, were once open water. All this began filling with silt around 200 BCE, bringing an end to Kaunos being a port. The site is now about 8 kilometers from the Mediterranean shoreline and today's İztuzu Beach. Kaunos became more Greek in nature in the early to mid 300s BCE, a trend that accelerated after Alexander the Great seized the area in 334 BCE. There was an αγορά or agora, an ακρόπολις or acropolis, and temples to Greek deities. Roman rule starting in the 180s BCE led to an expanded amphitheater, new baths and temples, and a trend for its name to be spelled Caunus. There was an early Christian presence. Bishops were named beginning in the 300s CE, including Antipater who attended the Council of Chalcedon in 451, and Stephanus who attended the second Council of Nicaea in 787. The city began to face attacks from Muslim pirates in 625, and the city retreated within new defensive walls. 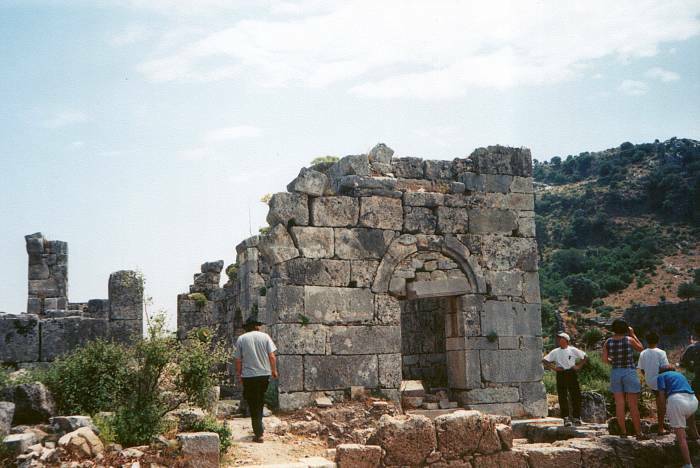 Turkish tribes began invading the region in the 1200s, conquering part of Caria in the 1300s. Then the 15th century was a disaster for Kaunos. The Turks finished capturing the entire area north of Caria, and after that a malaria epidemic hit. The city was abandoned. Then a severe earthquake destroyed the abandoned city, which became covered with sand and dense vegetation. 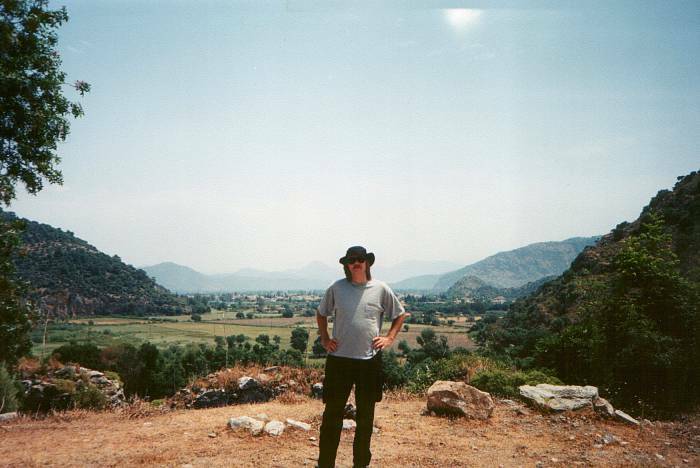 The city of Kaunos was largely forgotten until an English archaeologist visited in 1842. A fortified ακρόπολις or acropolis was on a 152-meter rock outcropping overlooking the river delta. The theater faces toward the southwest. It had a 75-meter diameter and a seating capacity of 5,000. The stage is accessible by two vaulted passages from the sides. 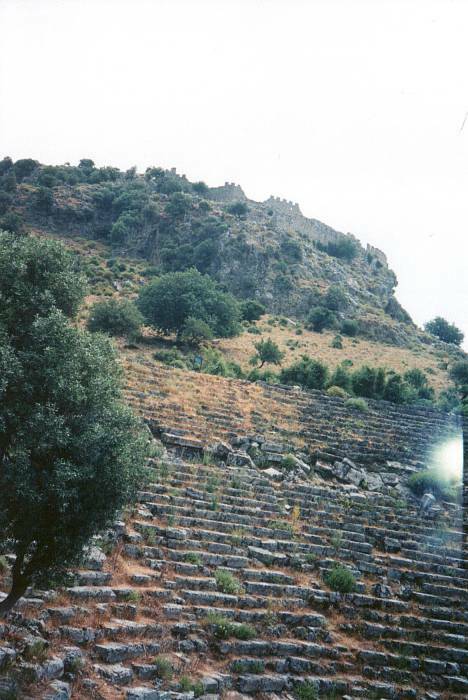 Access to the orchestra is possible by a level πάραδος or parados from the northeast and a stepped πάραδος from the southeast. 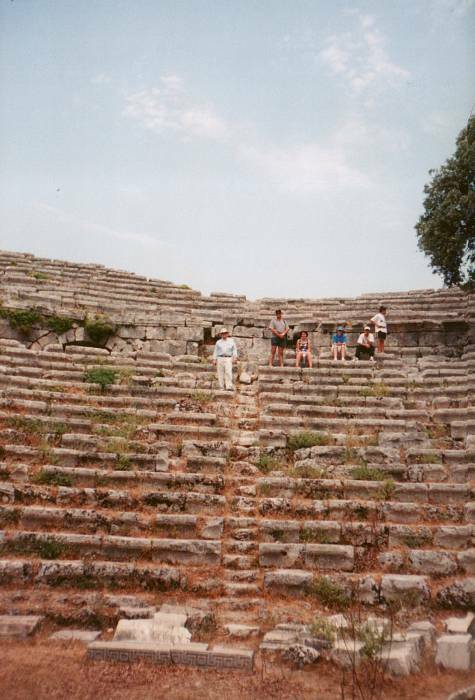 A theater-temple was built about 21 meters east of the theater during the Hellenistic period, and then enlarged and renovated during the Roman period. Palæstra or Παλαίστρα was a name attributed to two characters, one a mortal lover of the god Hermes (or Έρμης) and the other his daughter and a goddess of wrestling. 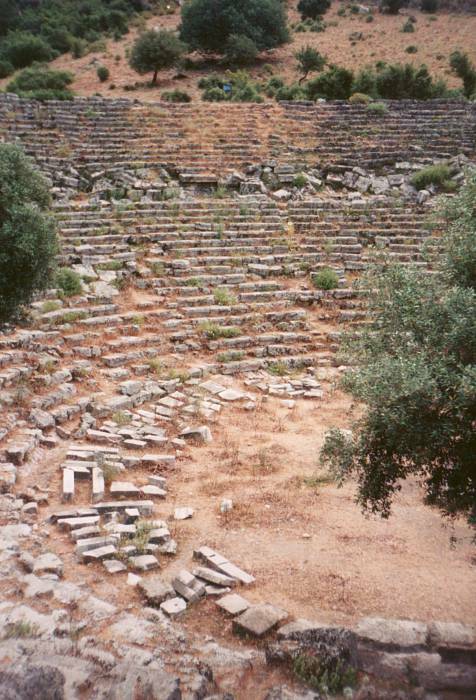 This led to the Greek word παλαίστρα meaning wrestling school, an essential element of any Greek gymnasium. The Kaunos palæstra was built during Roman times over what probably had been a place of worship. The Palaestra church replaced the baths in the Byzantine period. There had been a place of worship in earlier centuries, then the palæstra had been built there in the 4th century. In the 5th century, the palæstra bath was disassembled and its stones re-used to build a church. It was an example of what became the classic cruciform or cross-shaped church, with four roughly equal arms extending from a central dome. Three of them were naves, "ships of souls" from the word that's the root of our word naval, with vaulted ceilings. 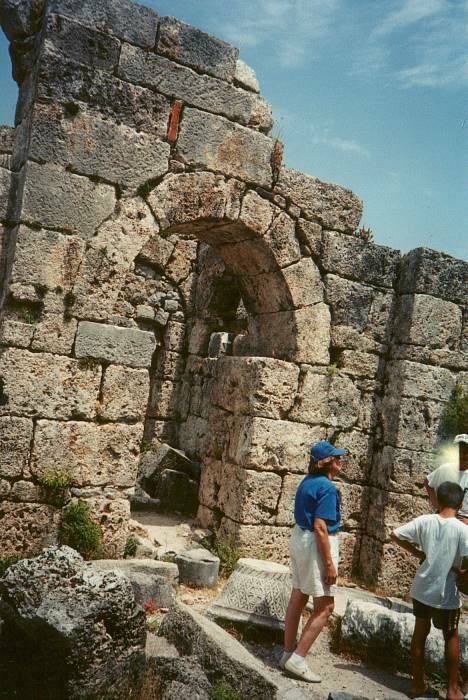 The fourth, the άψις or apsis, now apse, held the altar and was separated from the main body by a screen. The άψις screen developed into the εικονοστάσιον or iconostasis. The inner space with its square plan was designed as three naves, each of which was covered with a vaulted ceiling. The apsis, which has a cornered outer face, was parted with a screen-wall from the central nave. The inner faces of the walls were plastered and decorated with frescoes. Later, two small chapels were added on both sides of the building.